Phil Sobel was born 1917 in New York. Both parents were amateur musicians, helping to expose Sobel to music at an early age. His first instrument was ukulele, which he played out on the street where people would throw pennies to him. He later found a violin in his grandmother’s attic and taught himself to play. He took his first violin lesson at 13, but found that it bored him. 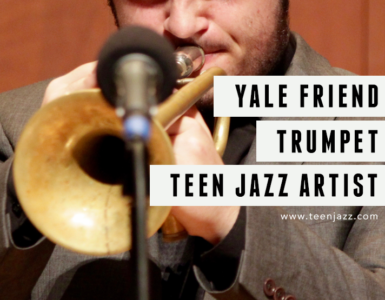 Instead he began playing the melaphone, tuba, and sousaphone in the Columbia University band. He later received an Albert System rubber clarinet and fell in love with it. At one point, Phil Sobel joined a group on clarinet, but a sax player stole his gig. Angry at the saxophone player, Phil took his violin up to 8th avenue in New York and traded his violin for a C melody saxophone. When he discovered he had the wrong type of saxophone, he went back and traded the saxophone for a $200 violin (which was valuable then). 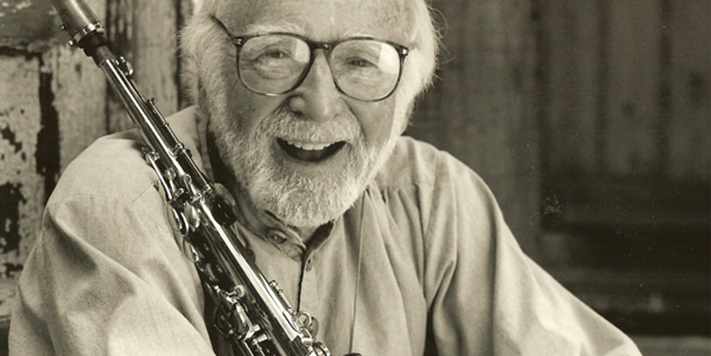 Phil Sobel then went to Conn in New York and bought his first saxophone. Phil eventually began playing in an orchestra, which lead to a contractor calling him to play bass clarinet in movies. At the time, Phil Sobel didn’t really play bass clarinet, so he spent 3 full days in his garage learning the solo for the movie “The Thief.” Including that movie, his first two real jobs were on bass clarinet. His success in the film music genre eventually lead to subbing for the first saxophone part at the Oscars – his first gig in California. In California, Phil began teaching students privately as a sort of crusade to teach Lindeman’s Method. Leo Potts was one of his first serious students; although, Phil says all his students were very thoughtful musicians. Phil continued to work as a professional musician in the LA area. He performed on television shows such as Laugh In, My Three Sons, My Favorite Martian, Barnaby Jones, Lassie, Streets of San Francisco, and Lux Theatre, in addition to playing with stars such as Dean Martin, Andy Williams, and Fred Astaire. Phil Sobel became close with several of the people he worked with in ways that when his alto flute was stolen, Dean Martin bought him a new one, and Fred Astaire paid him compliments such as “You aspired me to dance the best I’ve ever danced before, I said ‘If I can’t dance as good as he played, then I have to do it again!’” However, the gig that has stood out to him the most over the years, was playing a sax soli behind Dean Martin and Frank Sinatra. Phil Sobel eventually began the West Coast Sax Quartet, which was started primarily to record a CD for Paul Creston. The group was at Cal State Long Beach, and it was the “most special thing” Phil says he ever did.